General merchant, farmer, MLA (1950-1953), MLA (1954-1957), MLA (1958-1959). Born at Hazelglen on 11 January 1911, son of Nick Lucko and Pearl Mozel, he was educated at Hazelglen. There he farmed and operated a general store and post office for 24 years. On 9 October 1938, he married Anne Nimchuk, daughter of Stephen Nimchuk, of Hazelglen. They had two children: Ernest and Diane. He served as School Secretary of Hazelglen for 20 years. 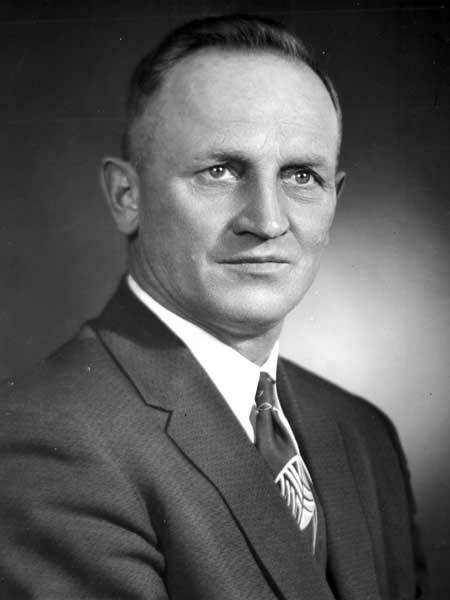 He was first elected to the Manitoba Legislature at the 1949 general election and was re-elected in 1953 and 1958. He ran unsuccessfully in the 1959, 1962 and 1966 general elections. He retired to Transcona in 1969. He died at Winnipeg on 5 October 1998 and was buried in the Transcona Cemetery. Obituary, Winnipeg Free Press, 8 October 1998, page 62.